If we have not learned from the past, why do we remember? Facing a crowd of nearly 2,200 people packed together at the United Nations headquarters in New York City in 2006 on the occasion of the first International Day of Commemoration of Holocaust victims, Professor Yehuda Bauer addressed the elephant in the room: How can we claim to have learned from the Holocaust when genocides continue to occur? How can we honor the victims of the Holocaust while new genocides create more victims? More than a decade has passed since Professor Bauer’s talk, however, his remarks during the first commemorative ceremony are as pressing as ever. If we have not learned from the past, why do we remember? UN Secretariat Building, February 2017. Photo courtesy of UN Photo/Rick Bajornas. The wording of Resolution 61/255—the resolution passed by the United Nations that legislated the day of commemoration—proposes that one reason why we remember the Holocaust is to combat Holocaust denial. It states, that “the Holocaust, which resulted in the murder of one-third of the Jewish people along with countless members of other minorities, will forever be a warning to all people of the dangers of hatred, bigotry, racism and prejudice.” To this end, the resolution designated January 27, the day that Allied troops liberated Auschwitz in 1945, the annual Day of Commemoration. Furthermore, the resolution rejected any denial of the Holocaust as a historical event, urged member states to develop educational programs about the Holocaust, created the Task Force for International Cooperation on Holocaust Education, Remembrance, and Research, and condemned all manifestations of intolerance towards persons or communities based on their ethnicity or religion. 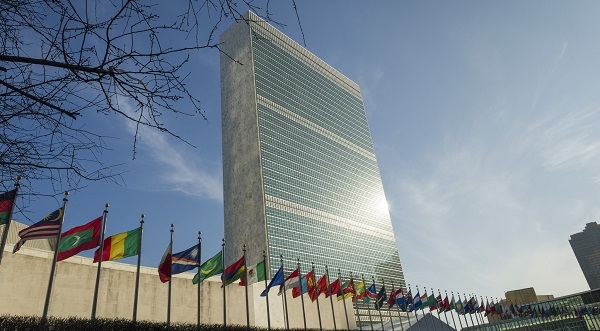 Despite its flaws, the United Nations has played a profound and leading role in Holocaust education and silencing Holocaust denial around the world. Resolution 61/255 exemplifies what the United Nations stands for and what it endeavors to accomplish. Thus, in my eyes, the International Day of Commemoration stands for much more than remembrance and education, it also represents the United Nations’ potential for greatness.